Fundraiser by Jessie Marianiello : The Joy Collective Support Fund! The Joy Collective Support Fund! Give Hope :: Find Joy! Do want to BE the positive in the world?! Here in Uganda we are passionate about extracting beauty from ashes, redemption from heartache, and light from darkness. Whether you’re able to give $10 or $10,000, every penny counts. The sky’s the limit and we invite you to join us in growing something beautiful! 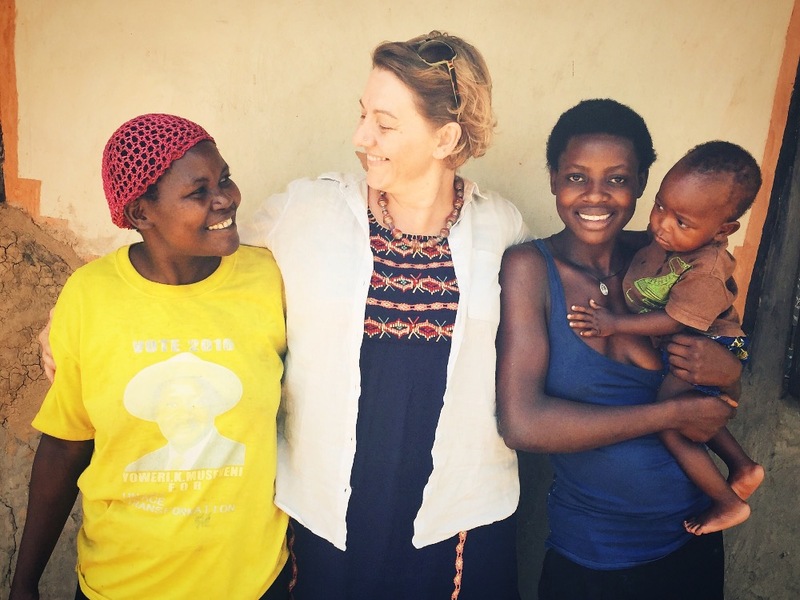 The Joy Collective is a humanitarian, faith-based organization focused on improving the lives of widows and vulnerable children in Uganda through education and empowerment. The Joy Collective focuses on empowering widows and the communities they live in toward sustainable, organic farming, creating income, food security, as well as health and education opportunities for some of the world’s poorest families. Our goal is to move from impoverishment to improvement in REAL and significant ways. When working with those in need, we believe in the importance of education, encouragement and continued support. Creating lasting change is at the root of every endeavor we dedicate ourselves to. We have sisters who are ready to join hands. Please consider partnering with us! The Joy Collective believes in the strength and power of change that our younger generations possess and, because of this, we are full-heartedly investing in the lives of vulnerable children through our mentorship program. Through this initiative, we empower families to keep their children in school with a goal that, by the time our Joy Collective kids successfully graduate from secondary education, they will have University Scholarship Funds awaiting them! We value education as a way of creating improved realities for those in deepest need. 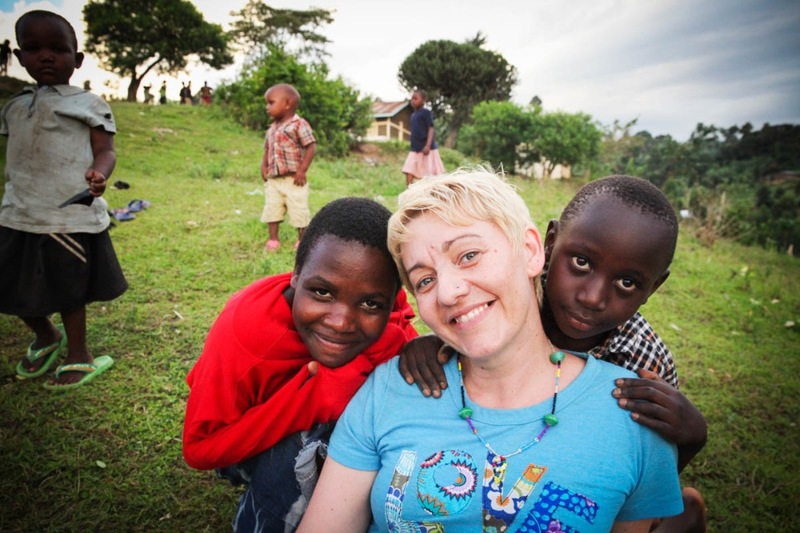 For most children living in the mountains of rural Uganda, this is a nearly impossible dream. However, WE BELIEVE IN DREAMS and, because of this, we strive to help make the impossible, POSSIBLE! It’s not just about shuffling a child from Point A to Point B, but also preparing them for the utmost success along the way. 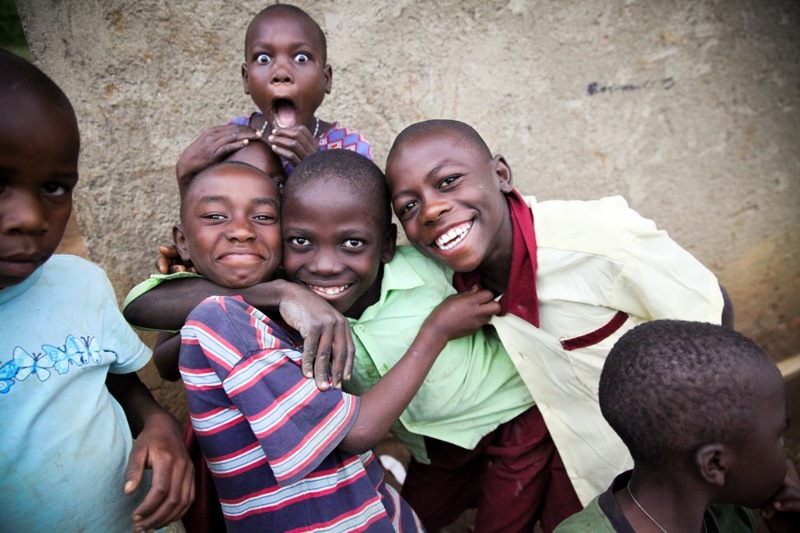 For these children: the sky’s the limit and we want YOU to be a part of their future! You probably know the old saying: “Wherever you go, there you are.” After a successful decade of full-time pet portrait artistry, I made the big leap and packed up both my studio and my business and moved to Africa to become the full-time director of The Joy Collective. Living in the midst of tremendous impoverishment and in a culture which does not always value or care for their canine counterparts, I found myself doing what I’ve always done: LOVING DOGS! Although The Joy Collective is primarily a humanitarian-focused organization, we are also passionate about the animals that surround our work. There are currently no other animal rescue organizations in Eastern Uganda and very few in the entire country. And so? We’re it! The Joy Collective has teamed up with local veterinarians to heal, feed, re-home, educate, vaccinate, spay and neuter canines throughout our surrounding communities. 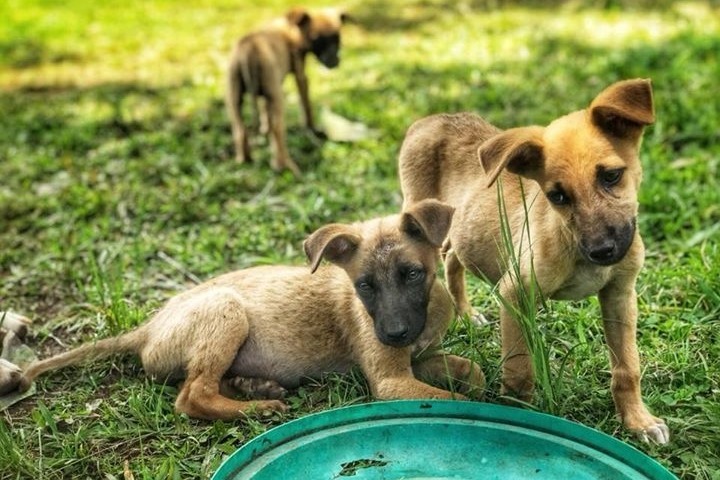 For a growing number of stray dogs and their communities, a difference is being made! My name is Jessie Marianiello. I am the founder and director of The Joy Collective. I am an artist, fine art photographer, writer and philanthropist. I always will be, but a couple of years ago I found myself in the nitty-gritty process of wrapping up the successes of my old life in exchange for the most meaningful lifelong venture I’ve ever stepped into. In August of 2015 I traveled to Uganda after the recent loss of my fiancé, Carl. He was only 35. We had our whole lives ahead of us, but in a split second, everything as I once knew it was shattered. The day that Carl died is the day that I gave my life to God. Raw. Vulnerable. Curious. Believing. 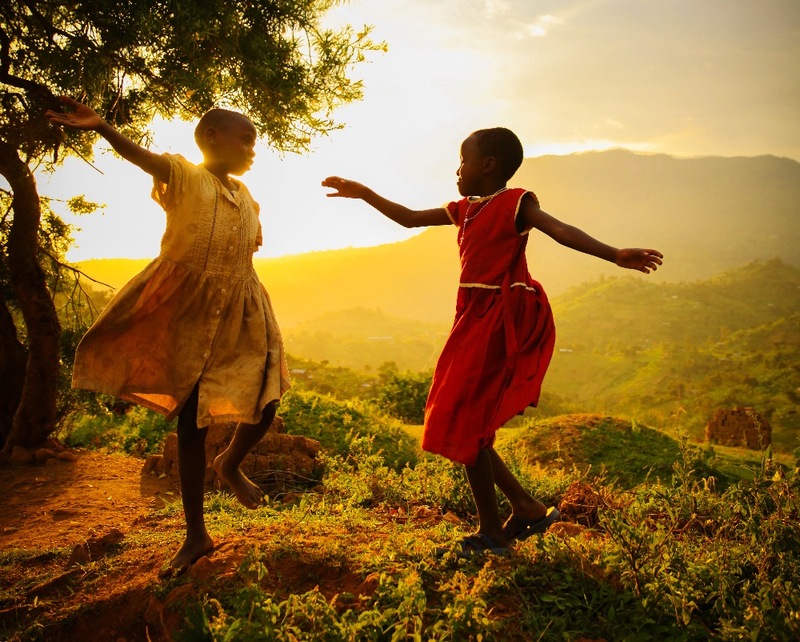 I was still in a state of deep grief, but for the first time since his death, I found myself finding happiness once again in the mountains of eastern Africa. It was during those travels that a part of my soul found its way home. I originally went as part of a small mission team, but stayed on after everyone else left. That was when I met Anna, a recent widow whose home was tucked into a nearby fold of the mountain. The loss of Anna’s husband was tragic and unexpected. She suffered an emotional breakdown and, in her distress, was unable to take care for her family, a predicament that, in Africa, can mean the difference between life and death. The small mountain village I had been staying in knew of my loss and asked if I would be willing to go to her home and sit with her. They hoped my presence would encourage her. Little did either of us know how much that simple meeting would change both of our lives. My meeting with Anna only lasted about an hour. She didn’t speak English, but somehow, we managed to communicate everything that needed to be said. Our connection happened not through words, but our eyes and hearts. We had both been through so much. Nothing special happened during that first meeting, but as I look back, I see how that was the moment that everything changed. Later that day I sat talking with one of the villagers about a small group of women who had come together to form, what they called, the Buirimbi Women’s Burial Group. It was a savings group created so that new widows could take out a low-interest rate loan to pay for the burial of their husbands. It was in that moment that I received what I can only describe as my assignment from God. With a confidence not my own, I knew with my whole being that I could do something to help women like Anna. I had experienced my own dark days. I understood the fear, anxiety and trauma of such deep grief. I felt God place this task in my hand and ask me if I would do this. Without hesitation, my response was a full-hearted YES. A week later, while on a long flight back home to the United States, The Joy Collective was born. Work began immediately and, in just a few short months, we had a strong program up and running! 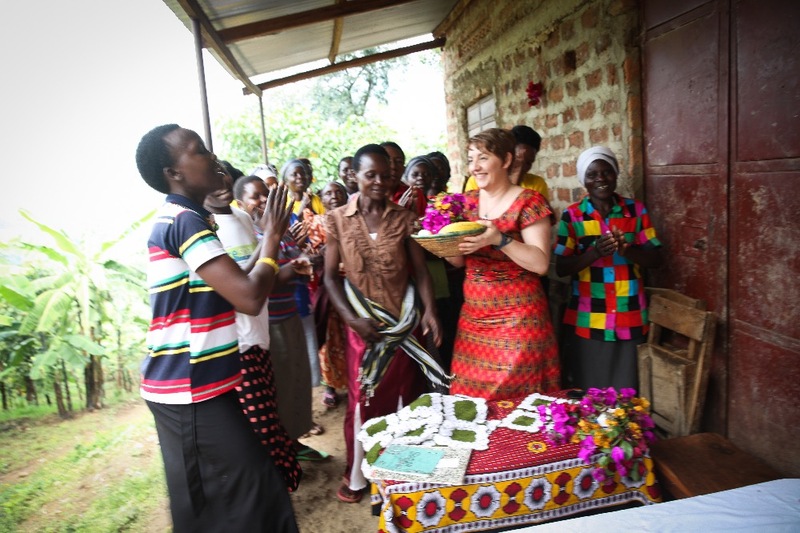 I returned to Uganda only to be STUNNED by the dedication and hard work the women and community have brought to the project. I have since moved to Uganda indefinitely. Only God knows where He is taking us, but with every fiber of my being, I feel it is GOOD! 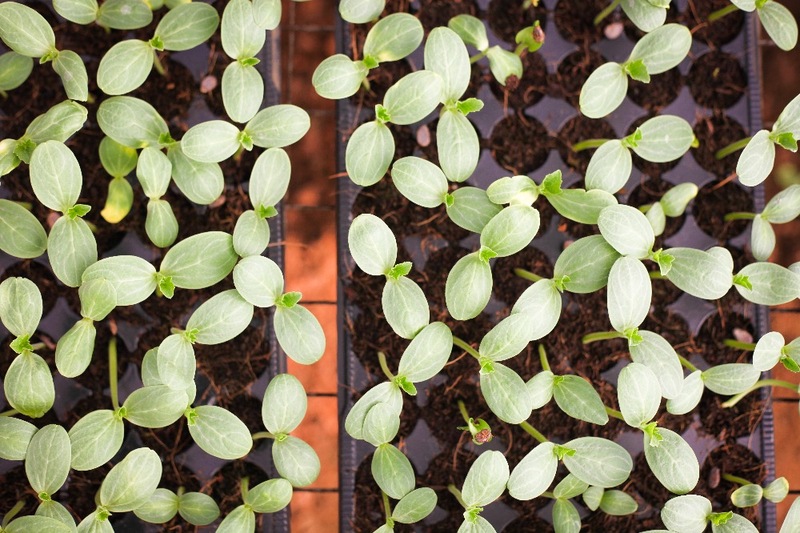 · Demonstration Gardens for sustainable food production and learning space. 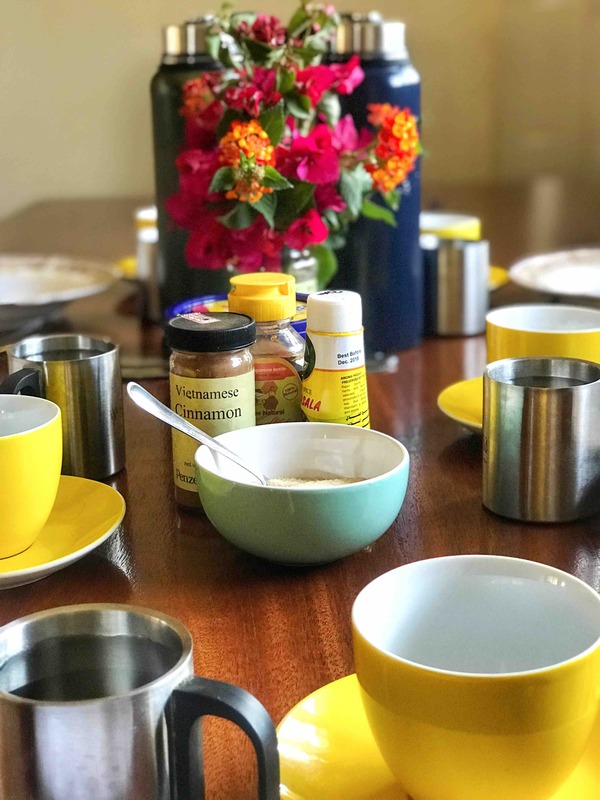 · Medical assistance and supplies for The Joy Collective community. 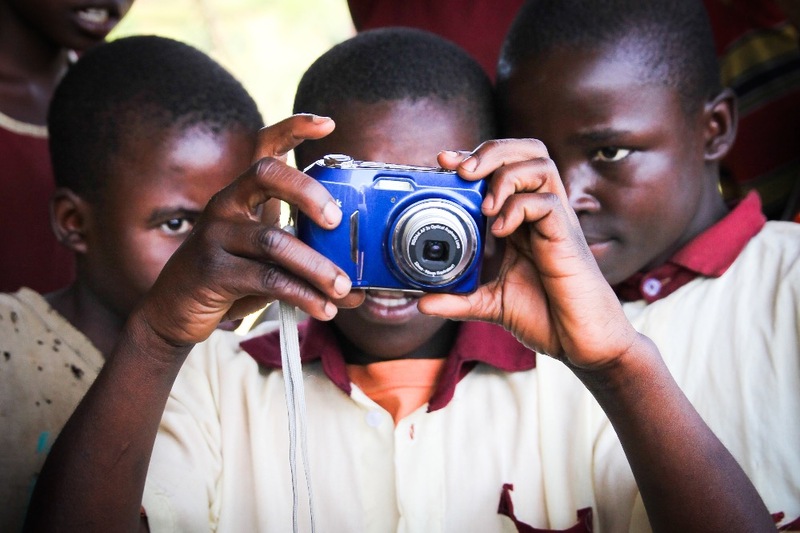 · Fair wages for African team members and educators + training. · Visa fees and costs of living. · Animal rescue efforts: feeding, spay and neuter efforts, vaccinations, and veterinarian costs. · The Joy Collective Learning and Retreat Center, upkeep and land rental fund. · Widow’s Program: Project costs and materials. · Mentorship Program: Project costs, Educational Sponsorships and Scholarships, The Joy Collective School of Music, materials and experiential learning opportunities. Prefer to give on a monthly basis? You decide the amount that fits your budget ($10, $20,$35, $50, $100, $250, $500 or $1,000) per month. It's quick and easy! Would you like your donation to be tax deductible? If you would like your donation to The Joy Collective to be TAX DEDUCTIBLE, please make checks out to CALVARY CHAPEL. A note mentioning that it is to go towards The Joy Collective fund MUST be included with your check. Once your donation is received, 100% of your contribution will be added to the GoFundMe total so that we can celebrate your generosity! There are not words deep or wide enough to express the gratitude felt by both myself and those whom this fund will help to create brighter, more joy-filled futures. 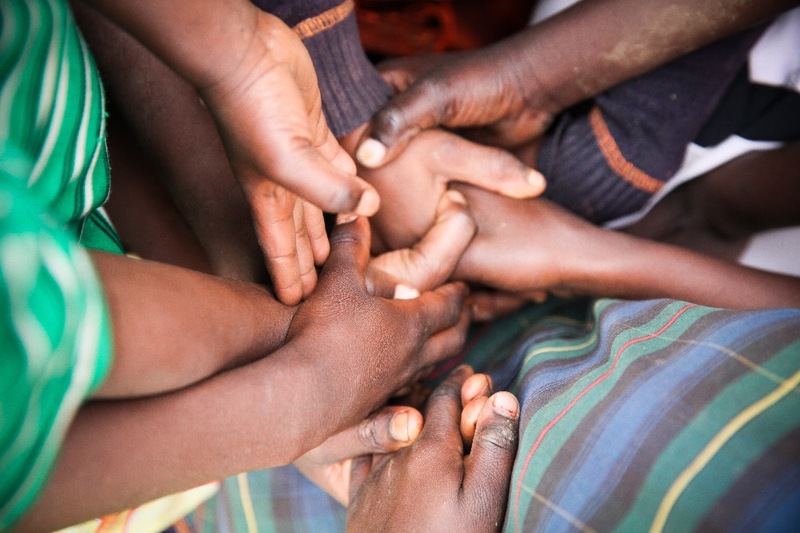 Your contribution is a prayer answered to countless widows and vulnerable children. The need is great...and so is the optimism for what is possible! 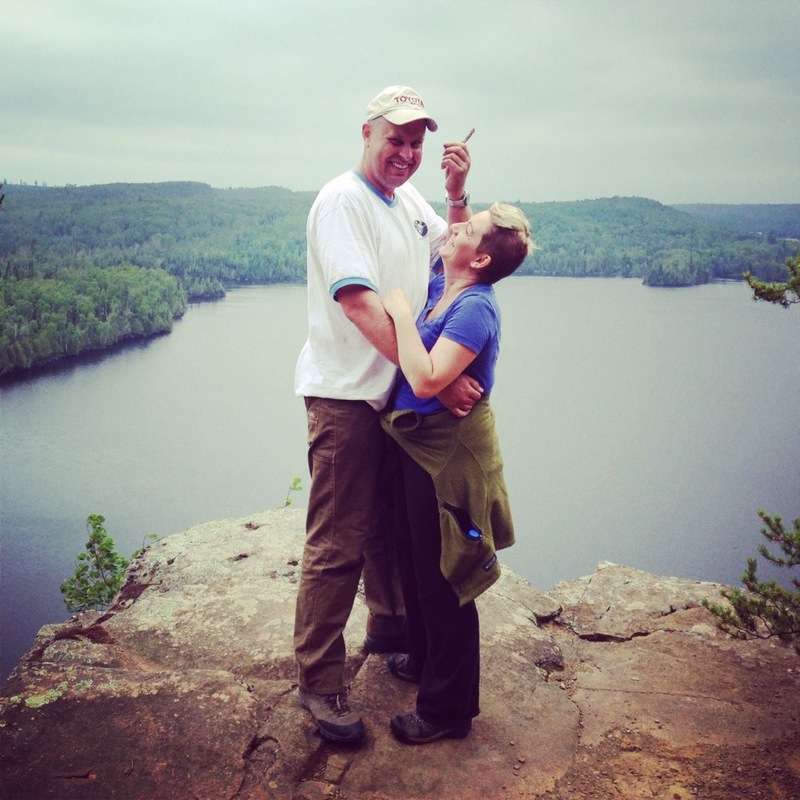 Help us MULTIPLY our Joy Collective Widow’s Program! My friends, we are ready to GROW, but we need new sponsors so that we can do so! In 2019 we would like to add 24-36 widowed women to our groups. It’s important to note that our organization’s goal is NOT for big numbers, rather for deep and genuine relationships that lead to lasting change. It’s not a small ask, but we are in deep need of $100/month Widow’s Program sponsors! Can’t do the full amount? It’s ok! Choose the amount that works for you and, as a community of supporters, we will make it work! 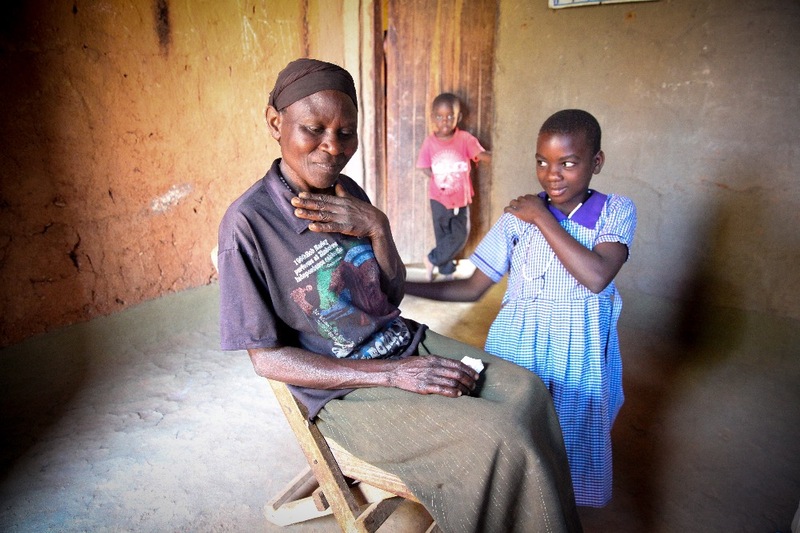 Your hard-earned money will help a widow and her family find their way towards newfound health. 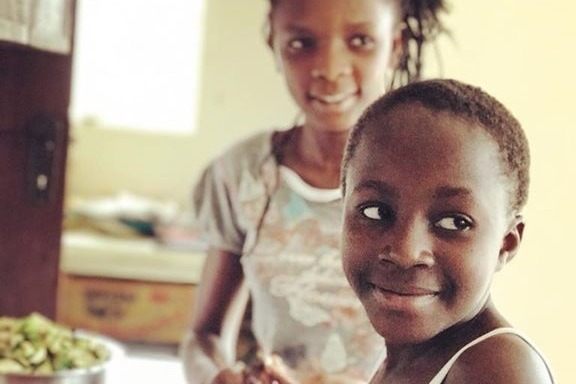 It will take them one step farther AWAY from malnutrition and a giant step CLOSER to ensuring their children and grandchildren are able to receive a proper education and grow in good health. Through our work together, they won’t only be able to feed their families, but provide for them in many other ways too! 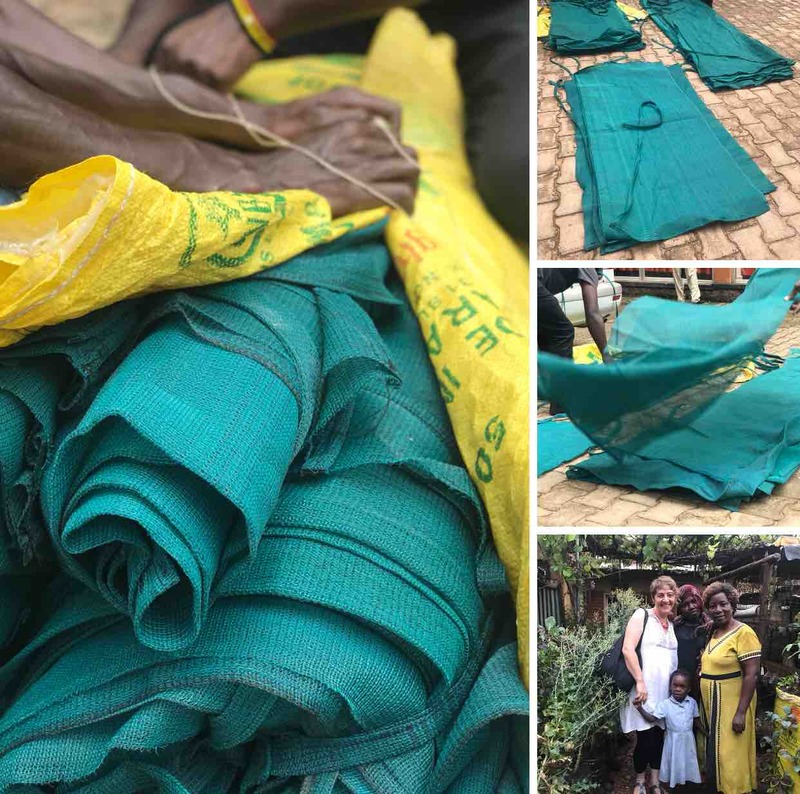 Your donation will help us provide start-up materials such as Sack Gardens as seen in these photos (which our women LOVE!!! ), as well as workshops, seeds, nutrition and business education, regular home visits, medical assistance when needed and a whole lifetime of love and friendship. Those last details (love and friendship) are something money can’t buy, but our ability to have a presence in the lives of these women and children makes so much more than gardens grow! In the first year of our program we used recycled rice bags to construct our Sack Gardens (and we still do!). They work great because the material is easily available to almost everyone, but they also wear out over time. Our women loved them SO MUCH that we decided to upgrade by using a fabric and design that would last even longer. And you know what? THEY LOVE THEM EVEN MORE!! 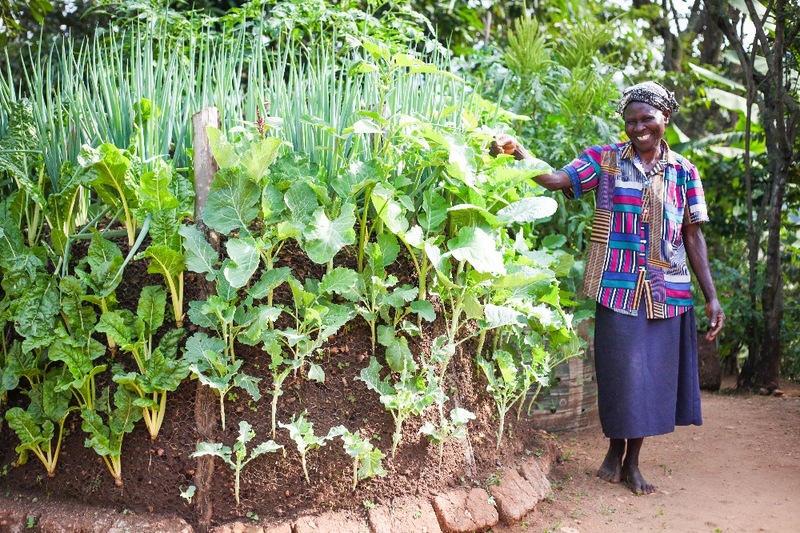 We purchase our Sack Gardens from a Ugandan woman who inspires every life she touches. And she is one of our teachers, too!! That means she not only helps provide the necessary materials, but she is able to teach our women how to sew and do the same for themselves and their communities too! It’s a win-win-win situation for everyone involved! But first! We need you to become a part of our JC family so that we can do all this growing TOGETHER! We work with people who are often living on the fringes of starvation. Their children are sick and often times not in school. But then...THIS. This changes everything! And it feeds their families in more ways than one! It empowers them and those around them, too. There is no end to the possibility that awaits each and every widowed woman we work with. New Beginnings await. We sure would love to embrace you with a whole mountain full of gratitude! We can’t do this alone! The new and improved Sack Gardens! I could have never imagined there would be moments that look like this. My life before God was quite solitary. I was an artist, a workaholic and was living alone in the woods. Then tragedy happened. I gave everything up as I had once known it and moved to Africa. This morning I am hosting a handful of beautiful souls from the village for an extra special meeting. I have to laugh at how easy it’s become to prepare for a table full of people. Around here, we’re welcoming people for meals all the time! 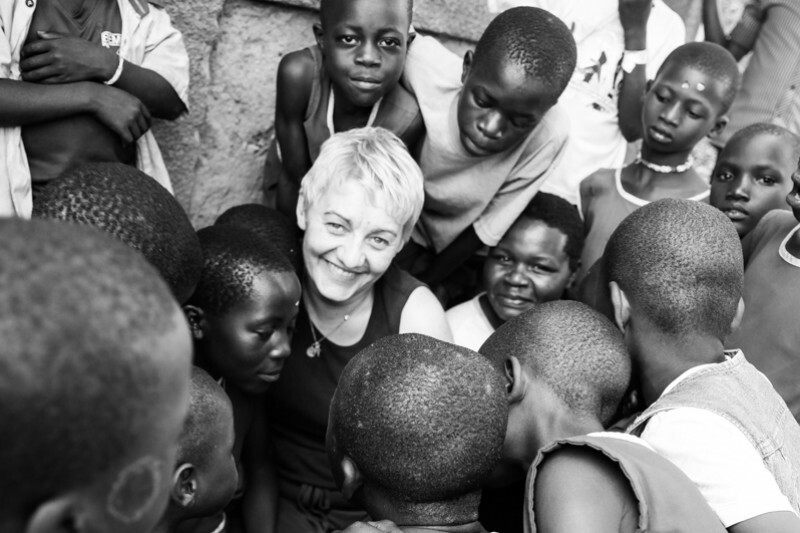 Ugandan hospitality has taught me how to love people a lot better than I knew how to before. Solitude has been exchanged for community and community has led us to the beautiful bursting edges of unstoppable growth! Today we will be giving a tour or The Joy Collective Demonstration Gardens in preparation to begin planning for... (drum roll, please!)... 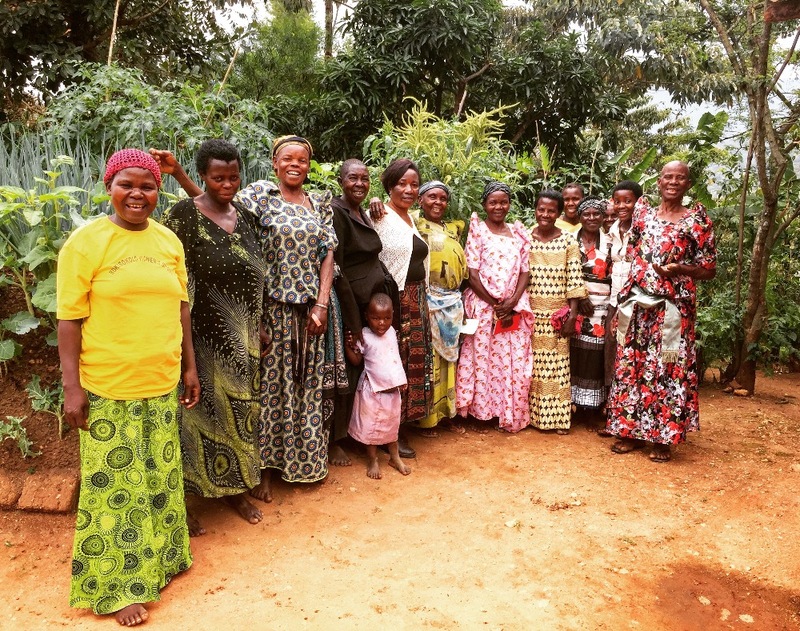 our SECOND JC Demonstration Gardens that we will soon be building in the mountains of Bududa! First steps have already been taken and we are excited to use this dry season to our advantage to GET STARTED!! 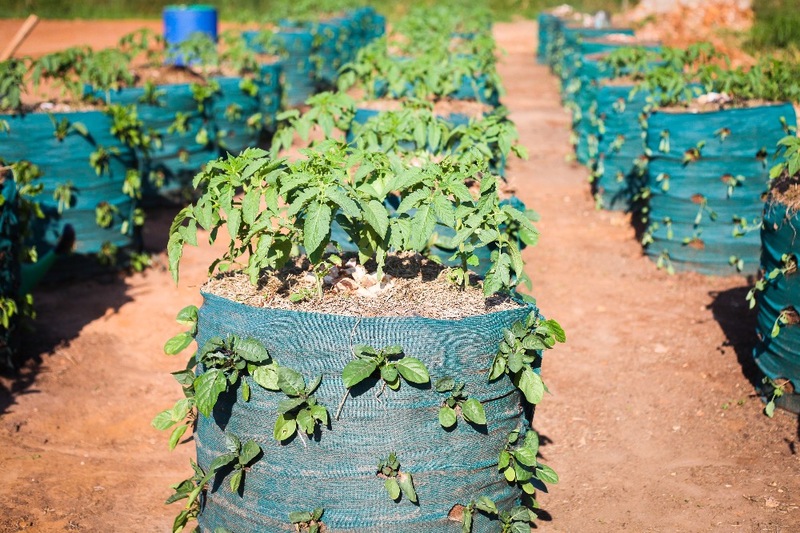 Our original Demonstration Gardens here in Mbale have been the source of much learning, many workshops, amazing connections and LOTS of food that we’ve not only been able to feed the masses here at our Retreat and Learning Center, but that have allowed us to launch a Feeding Program as well! We’ve been feeding hundreds from a humble garden that was only started so that we might learn and teach! And you know what? I know that God is going to do something equally amazing with our gardens in the mountains too! To launch this new Demonstration site we need to raise $1,000! This will cover the costs of all the build-out, materials, seeds, transportation AND a whole lotta workshops and learning opportunities for an entire community! We’re, literally, DIGGING IN. The work begins shortly after Christmas! Who wants to be the one to be a part of this something AMAZING? It’s about to happen! Perhaps you might even want to donate in honor or in memory of someone special. A grandparent, friend or soul-connection who might live on in the lives of others in an extraordinarily way. Please let me know in a private message (or in the comments below) if you decide to do so. I want Heaven’s light to shine in our gardens. And it does! Or make an immediate donation via GoFundMe here! Want to become a reoccurring monthly donor throughout the year? Sign up here: https://app.moonclerk.com/pay/p2to3i6n2yl This helps us budget our ongoing expenses so very much! Something is happening here and it is the greatest honor to witness and be a part of. Thank you to everyone who makes our work possible! Not too long ago, I put out a call for help on Facebook so that we could build a house! The response was so incredible! I know that quite a few of you follow me on Facebook and so I thought I would share an update here! Want to take a house tour with me? What a total and true labor of love this construction project has been!! A few months ago, one of the widows we work with lost her house in the hard rains. When I heard the news, I so strongly felt God asking us to he build her a new house! Mind you, this is not in our normal repertoire of work, but for really no specific reason at all, I simply felt God wanting to show her how EXTRAVAGANTLY He loves and adores her! It’s been a journey filled with lots of learning and being witness to so many beautiful souls who came together to help this cheery lil’ abode come to life. This new home is humble and sweet, but in the village, it simply SHINES! For Sicola, who will very soon be moving in, it will be a true luxury. And you know what? She deserves it. She is beloved. Totally and truly! We run on a tight budget around here, which is what makes this project truly a miracle. THANK YOU to everyone who contributed! It took a village, both literally and figuratively, but we’ve done it! Just a few details left to finish up before we host a house warming party worth remembering! It’s the last few weeks of the year and we have a long way to go before we reach our $30,000 End of Year Fundraising Goal! Want to see your $$ make a HUGE difference in someone’s life? You can also make a tax-deductible donation via Calvary Chapel Bemidji here: https://www.easytithe.com/f/f2.asp?formid=64ccf8bf-cb98-4f4f-a144-2df26f138966 (or read more at the bottom of our GoFundMe description, if you prefer to a tax-deductible check via snail mail! Thank you for making the impossible POSSIBLE! Over and over and over again! With so much love and gratitude from our home to yours! Take a village house tour with us! Well, my friends...today’s the day! School is hereby fully IN SESSION here in Uganda!! The girls and I are getting back into the swing of EARLY mornings and full days of LEARNING! It’s already been a busy week of gathering school supplies for the kids whom we help to fund their otherwise unmet educational needs! We’ve managed to raise $250 is our $1,050 goal...but that means WE STILL HAVE $800 TO GO! Our kids range in ages all the way between baby class to secondary school. Believe me when I say that it is no small task to keep everything moving forward! And taking on the responsibility of making sure SIXTEEN kids are able to return to school each term, plus school supplies for even a few more?! Well...it’s worth every single worry I might ever have! But here’s the thing, my friends...school fees are DUE and we’re still $800 short! THANK YOU so much to those of you who have already donated. Oh my gosh, I wish I could HUG each one of you!!!! Lots of smaller donations add up and one big one sure helps us get the job done! I’m passionate about children getting a good education. Maybe you are too?! Please help us cover the costs for another term of school by donating via GoFundMe! After a closer look I don't think that is Sharon in the photo. Sorry! Must be Ashrof. Adorable nonetheless! Oh my goodness is Baby Andruga adorable or what? What a sweetie. A wonderful addition to your family there. The photo of you and Sharon is priceless. Thank you for sharing these special moments~! Our prayers goes out to y'all Please help us. I love you...hang in there and remember to take care of you too. I believe in you too. Thanks for being such a fine and caring human being. The world is a better place because of you. Happy New Year.